No baggage, filters, batteries or electricity required: truly push this guide sweeper forward and its rotating brushes will carry and sweep up the dirt and particles into the built-in dustpan. Come with both green or red hues. Works on all tough floor surfaces: wooden, tile, marble, linoleum and vinyl with no scuffing or scratching. Lightweight, convenient and quiet: the sweeper weighs much less than 2 pounds and folds flat for hard to attain regions and easy storage. It is an awful lot quieter than using a everyday vacuum cleaner. Easy to open lure door with the intention to empty the dustpan as soon as you end sweeping. One hundred eighty fold flat deal with can help you sweep out under the couch, table and mattress. Manually push sweeper forward to acquire dust and debris. No baggage, filters, batteries or electrical cords required. 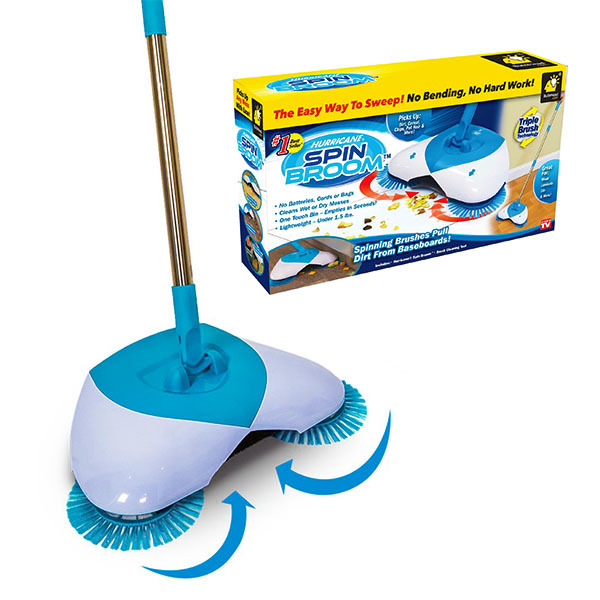 – 3 rotating brushes loosen, raise and channel dust into the dustpan, even alongside edges which include baseboards, walls, furniture or toe kicks. – without difficulty empty the dustpan by lifting returned door and dumping into the trash can. Works on all tough floor surfaces: wood, tile, marble, linoleum, and vinyl – works on all dust and debris (moist, dry, large or small): kitty muddle, pet hair, meals, crumbs, dirt and greater!